Skip the treadmill and opt for a cardio workout that you’ll look forward to: Zumba. Zumba uses movements from Latin and Caribbean dance styles and relies on Latin dance music to liven up group exercises. Dance along to rhythmic beats at these 10 awesome Zumba classes in Minnesota. Straightline Dance Fitness offers a wide array of dance and fitness classes, including Zumba—or as they sometimes refer to it, “cardio dancing.” Their licensed and certified instructors will ensure that you get a great workout while learning some smooth moves and having a ton of fun. So much fun from our "I'm From Vol. 2" fundraiser workshop teaching some African dance with @rachelchristineharris Class was lit and everyone else gave me life. Not only is Ignite Studio one of the most affordable fitness options in the Northland, they also happen to offer three varieties of Zumba classes, including Zumba (“party yourself into shape”), Zumba Express, and Strong by Zumba, which incorporates high-intensity interval training. CM’s Fitness & Dance began has expanded beyond its Zumba offerings to include several other types of fitness and dance movement classes, like yoga and hip hop. But the studio still maintains a strong schedule of regularly-scheduled Zumba classes, with several offerings every week. In Mankato, folks who want to dance their way to fitness will find the reasonably-priced Zumba offerings at Impulse Dance to be just what the doctor ordered. Regularly-scheduled classes and a punch card that never expires make Zumba at Impulse Dance extra convenient. 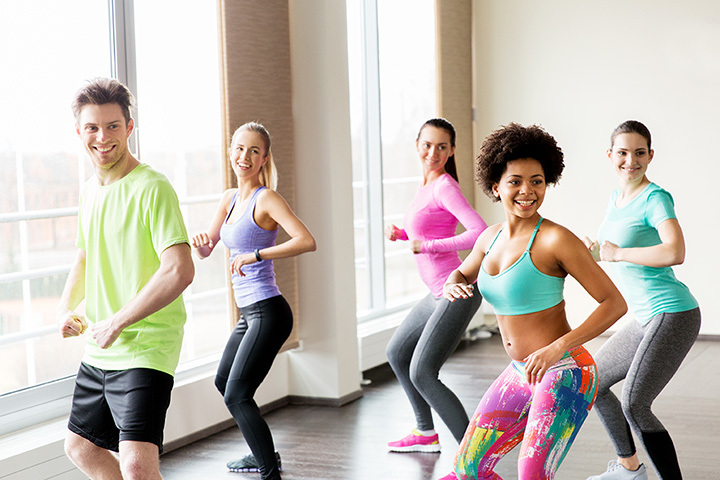 Dancers in the Rochester area will be pleased that Edge Fitness offers near-daily Zumba classes, including traditional Zumba, as well as Zumba Toning, which integrates muscle shaping exercise with Zumba’s dance moves. New schedules are released seasonally. Caryn’s Studio is the place to go for Zumba classes in the St. Cloud area. Apart from other offerings like Barre and TRX, Caryn’s Studio schedules as many as five Zumba classes each week. The studio occasionally has special event classes—on holidays, for example—as well. Studio TimeOut, in Minneapolis, is another studio that specializes in dancing for fitness. In addition to group classes like Barre and BollyX, the studio offers a regular schedule of Zumba. If you’re new to Zumba or looking to sweat a little less, Studio TimeOut also offers less-intense Zumba gold classes. OMG in love with #AerialBarre @studio_timeout -- bright, beautiful spaces and right in my hood! A great place to find Zumba classes in the Noorhead area is the Russell & Ann Gerdin Wellness Center on the campus of Minnesota State University–Moorhead. The center’s group fitness calendar contains a regular schedule of Zumba classes, which are offered at very affordable prices. Although its best known for its extensive yoga offerings, students at Tula Yoga & Wellness can also take advantage of the studios many dance and fitness classes, including Zumba. To make fitness more accessible, Tula offers a donation-based class fee for many of their drop-in classes. Dance enthusiasts in Minneapolis’ Northeast neighborhood will find a wide range of heart-pounding dance classes at One Reason Dance Studio, including salsa, rueda, bachata, and of course Zumba. The class schedule changes frequently, so call or check online for current offerings.